I’m fortunate enough to be included in this month’s issue of Inspired Eye Magazine along with Anna Theodora, Peter Levi, Tamas Andok, and fellow Fuji shooters Ray Sachs and Treve Kneebone. Don Springer, a photographer met Olivier Duong another photographer & designer by pure providence over a blog post. 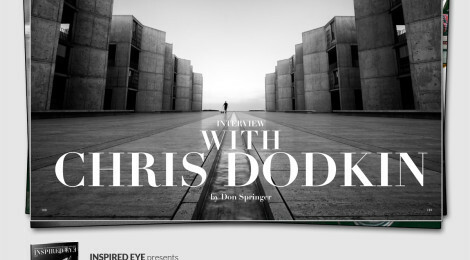 When they got together, Don’s maturity and Olivier’s energy fused together to create Inspired Eye, a website with a blog, podcast, presets, magazine and shortly, ebooks. Inspired Eye was born because neither of the two could contain or produce the ideas on their own compared to what could be done together. Apparently, it does take two to Tango. Even if separated by decades in age, there was and still is an immediate understanding on all things and all levels. Inspired Eye is a collaboration between those two passionate photographers, and it’s this passion that you see resonating throughout the website. You can buy a single issue, or a subscription, and the magazine is delivered in digital format for computer or tablet browsing. Along with the interview I did for Don Springer, they have been good enough to publish a twenty shot mini-portfolio of my work, covering street, portrait, landscape and architecture. With all of the other fantastic content, it makes a great read and a visual feast – well worth a look, and definitely not your typical photo magazine.